Illuminated Internal Light Boxes: Light Boxes are a brilliant tool for capturing attention and drawing people to important areas of your premises. 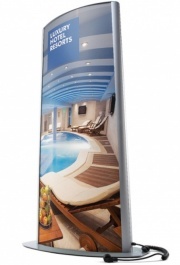 With easy to change printed graphics illuminated with easy to maintain fluorescent tubes or low energy LED lights, light boxes will help you create highly engaging internal signage displays. They are also ideal for retail environments that lack natural daylight, or for any other businesses in winter days without much daylight. 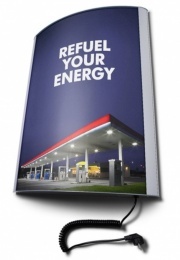 This is because the illuminated displays really help poster displays stand out and capture the attention of passers by. 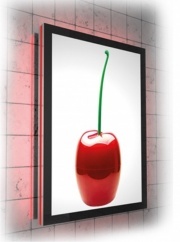 Light Boxes are specifically designed to help you display your items prominently and clearly, thereby attracting your customer's eye and convincing them to make a purchase or look at your product more closely.